Imagine yourself painting in a lovely balcony when the weather is nice, or during the waning light of the day as the sunset occurs in Melbourne. Does this sound like fun? If the answer is a yes, then there is no better way to build up your creative talents at all levels by putting colourful paints to the bright white canvas. From newbie to mid-level to guru expertise levels, enjoying the company of others is part of the attraction of Paint For Fun! Part of the fun of being able to paint is being in the outdoors. And especially during the summertime months that run from January to April in Melbourne. Even though the outdoor temperatures can get hot at times, or there are days when it is rainy or windy outside, we have an indoor studio where you create your acrylic-based paintings in a relaxing, educational and very entertaining scene. We are all about providing a hip experience, whether it is rain or shine. Part of the fun of painting during an Australian sunset is the opportunity to BYO. Why not sip some wine or enjoy a few beers as you enjoy a creative atmosphere and the easy-going nature of art as you drink and paint. 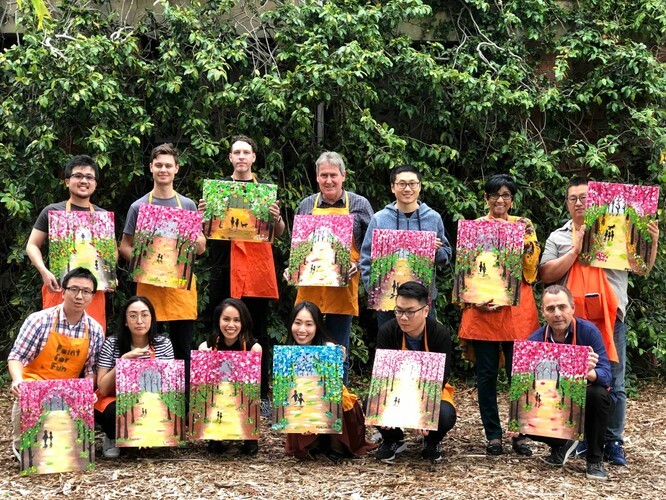 How Would the Non-Artist Types Approach An Outdoor Event at Paint For Fun? Even for a unique outdoor event at the park that includes friends and family, it's okay to admit that one is not artistically inclined! 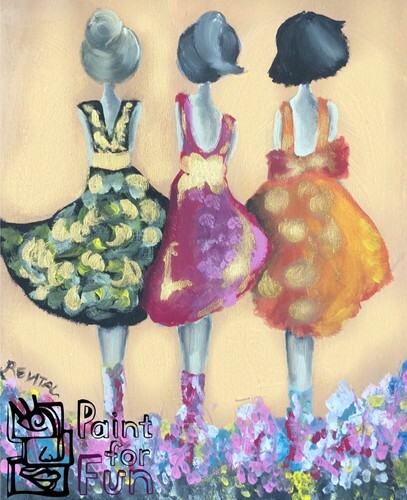 Paint For Fun will guide you step-by-step through the important steps to—get you moving—and also help you complete your artistic expressions on canvas by the end of the event. The good news about coming to a Paint For Fun event is that there are no mistakes when having such a fun time! The acrylic paint that is used can dry up quickly, making mishaps easy to fix and perfect for a team of artistic newbies. What Makes Paint For Fun A Good Choice? The best thing about Paint For Fun is that we provide a way for you to get out and mingle with other fellows Australians when the summer arrives. Why not enjoy nature with others as you paint something impressive with all of your edgy ideas. You don't have to be a hipster to get in the groove with paint as well as your new found mates you've met during this event. If you have any questions about Painting For Fun, please feel free to contact us on Facebook, Instagram, or our website.